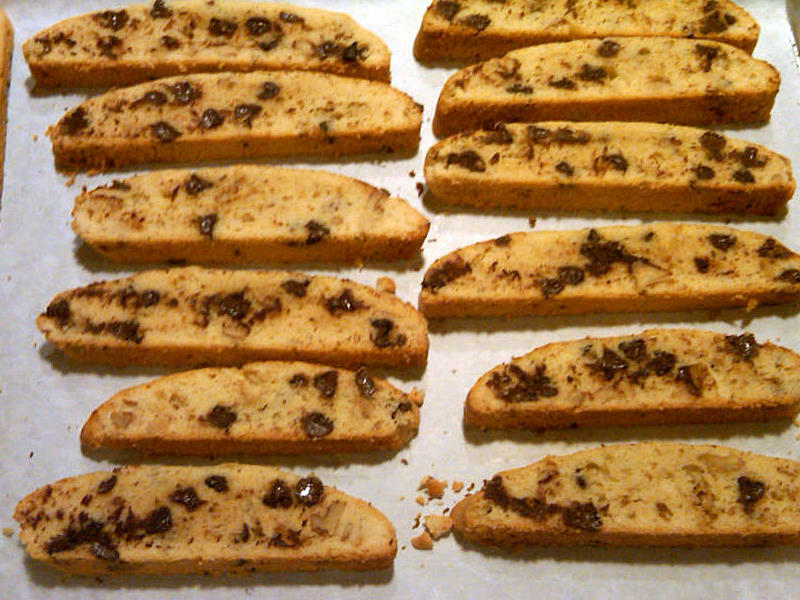 Mandel bread -- aka Jewish biscotti -- is among my mother's favorite treats so for her 82nd birthday (today!) I prepared the cookies from her own handwritten recipe card. Of course, the recipe called for chocolate chips, a rather nontraditional ingredient, but to my mother, it's not dessert unless there's some chocolate involved. 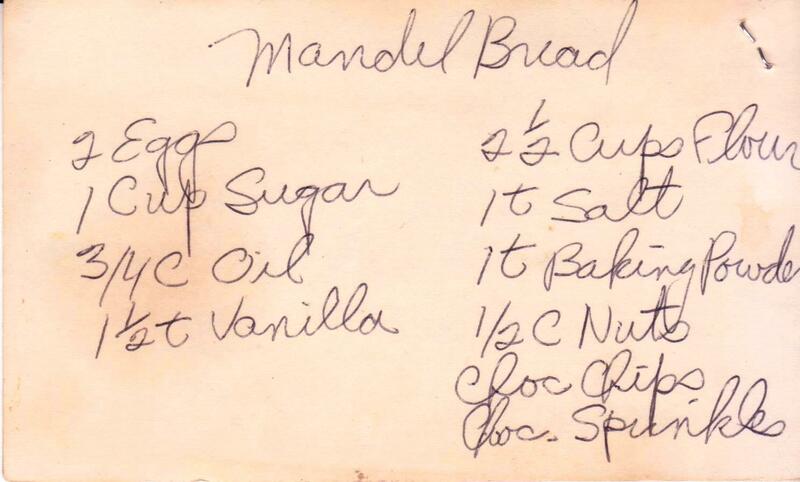 Like biscotti, mandel bread is baked twice, first in a loaf form. 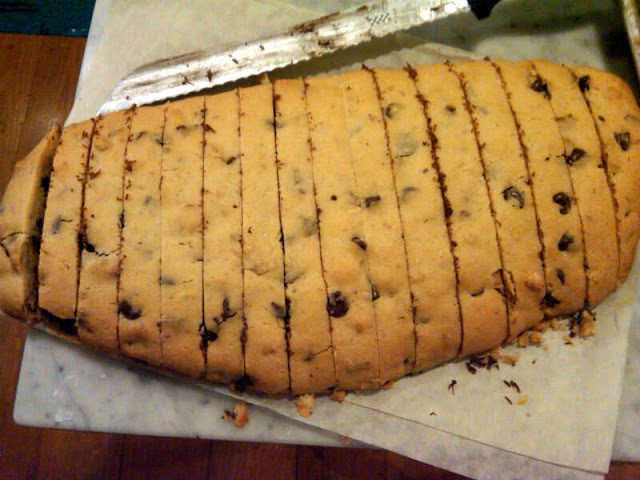 When the loaf is still warm, using a good serrated knife, slice it just like you would a loaf of bread. Is this easy? Absolutely. IF you're not making it for your mother. (You can read about some previous issues in my post, Calling Dr. Freud.) 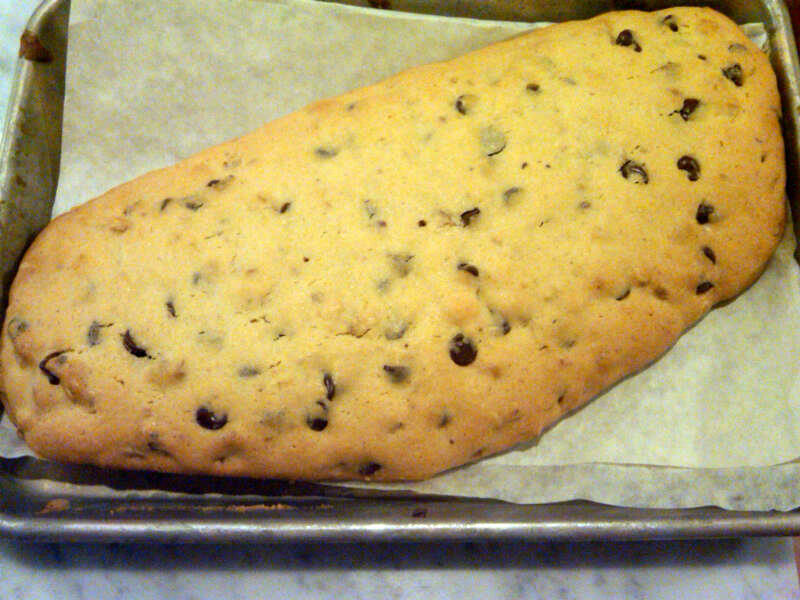 I had to toss the first dough -- I had forgotten the sugar. You can see the loaf below, leaching oil, on account of this essential missing ingredient. 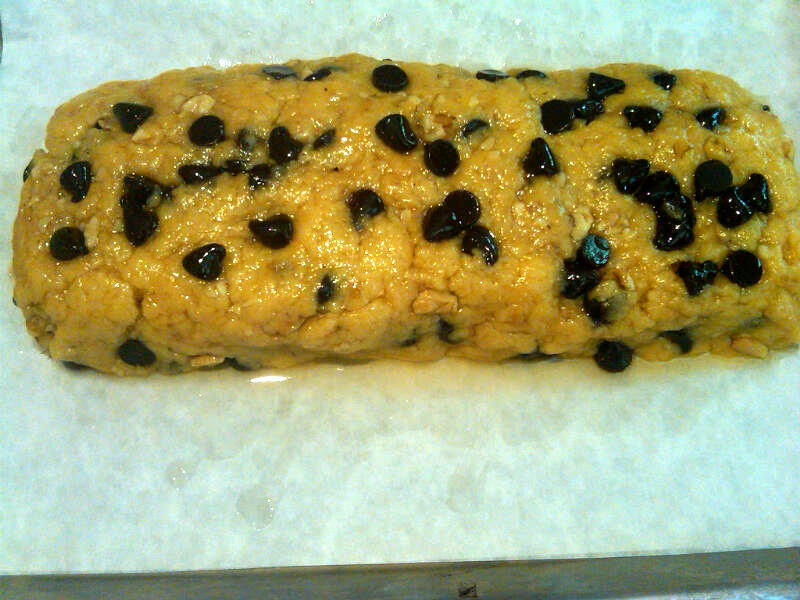 And for my second attempt, I mis-measured the oil but, determined to save the dough, I simple added some extra flour and sugar. Although the loaf spread way more than I thought was normal, I plowed through and it all turned out ok.
Mandel bread is not my cup of tea (or coffee), but it makes a nice gift. Happy birthday, Mom! 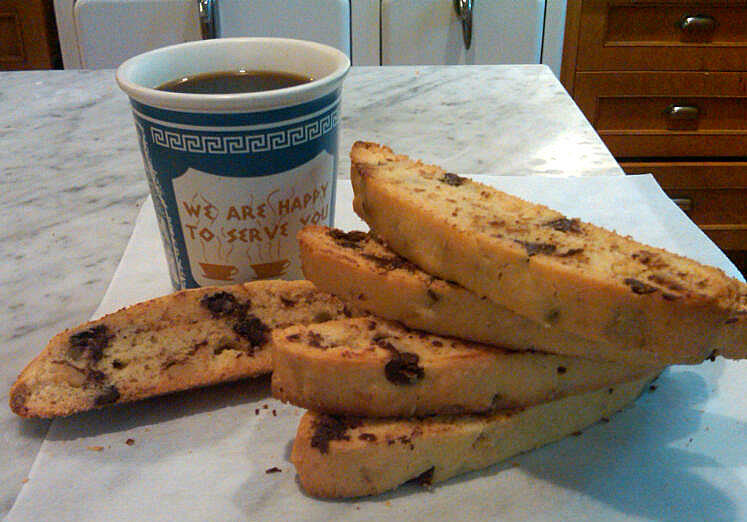 I love biscotti I will have to try this recipe. What a beautiful picture of your mother! Happy Birthday! P.S.- Your blog is fantastic! While I don't bake as often as I like, I do enjoy reading about the many interesting recipes you find. Thanks, Melba. Glad you like A Cake Bakes! 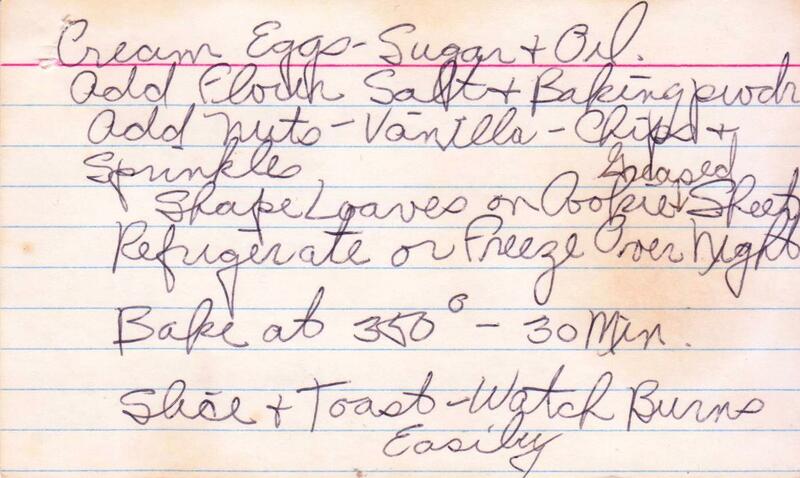 And reading recipes is truly one of life's pleasures -- and the calorie count is a perfect 0. What a nice tribute to your mother for her birthday. I just love that picture. I bet they freeze beautifully :)) Love the picture of your mom too! I hope she gets the package! @Debbie: I love that picture too. 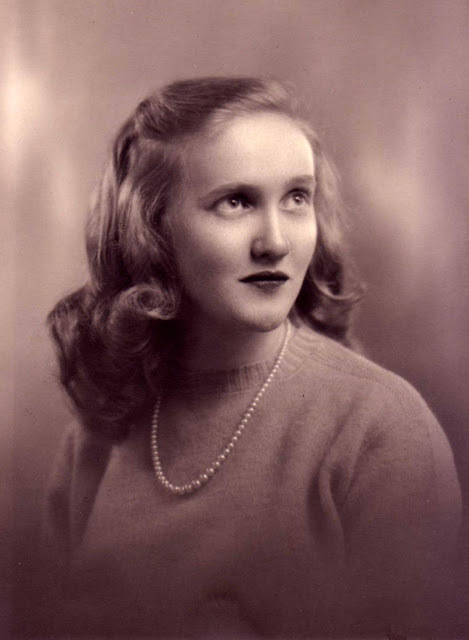 She told me that it was taken in her senior year of high school. @Margaret: Funny! But none to freeze, as I hear Steve ate most of them. And package received; three cheers for USPS inefficiency!